Want to get all that brisk fall air and fireplace scent without hitting leaf-peeper traffic in New England or the Smokies? The Northwest and its inexpensive lodgings await. 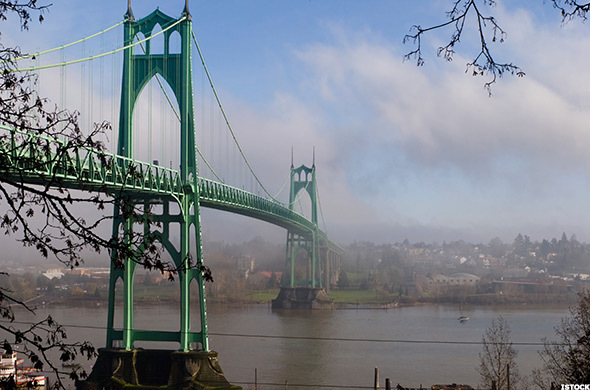 PORTLAND, Ore. (MainStreet) – That crisp fall air may make people think of foliage in New England, Aspen, Michigan's Upper Peninsula or the Smokies, but what about the wet, underloved Pacific Northwest. Granted, the foliage season here is an incredibly brief window in late September and early October that generally concentrates itself along the Columbia River Gorge and into portions of the Cascades, but it exists. 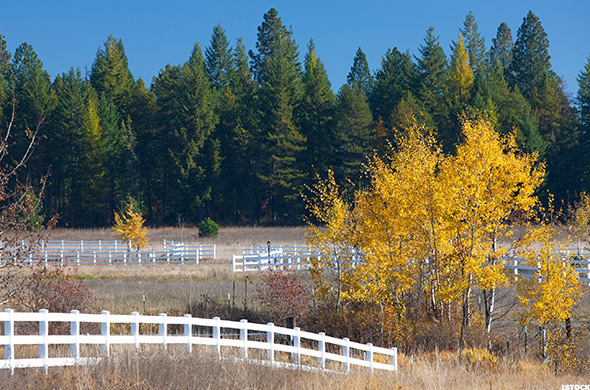 However, the advantages of fall travel to the Pacific Northwest have less to do with leaf peeping than they do with having a cool, rainy, fog-laden corner of the country mostly to yourself as it enjoys its final few streaks of sunshine until late spring. While there are hotels and lodges all throughout the Pacific Northwest -- it's been a long time since it was pioneer country -- there are a whole lot of like-minded folks out here who plan their off-season trips around this lull in the travel calendar and use it to take advantage of low rates and fill hotel rooms well in advance. It isn't a city with a whole lot of “destinations,” but that suits people who love it here just fine. There aren't skyscrapers with observation decks, landmarks surrounded by swarms people taking selfies or even a whole lot of museums or theaters, but that's all beside the point. It's a city filled with food carts, coffee shops, bookstores, movie theaters, breweries, wine tasting rooms, waterfront walkways, canopied park blocks and a city-sized park with a zoo, arboretum and Japanese garden. The New York Times spent a solid 36 hours here just milling about, and TripAdvisor notes that 56% more people booked vacation rentals here than in 2014. But where do you stay? Well, FlipKey offers a three-bedroom Victorian with a hot tub in Southwest Portland starting at just $175 a night. HomeAway, meanwhile, offers a two-bedroom home near the Last Thursday art festival in Alberta for $115 a night; a three-bedroom near the food carts, beer and the school-turned-music-venue Revolution Hall in Buckman for $216 per night; and, for larger parties, a five-bedroom, 1.5-acre estate in suburban Lake Oswego for $850 a night. Get your ferry ticket, pack a hoodie and get ready to visit one of the most pristine island destinations in the U.S. For those who prefer evergreens, clouds and mild temperatures to palm trees, beach chairs and tropical heat, this is your island getaway. Yes, Friday Harbor is the “big” draw here with its shops, restaurants and sculpture garden, but we're also big fans of nearby Orcas Island and its above-the-clouds views from Mount Constitution, its historic downtown in Eastsound and its mossy hikes in Moran State Park. 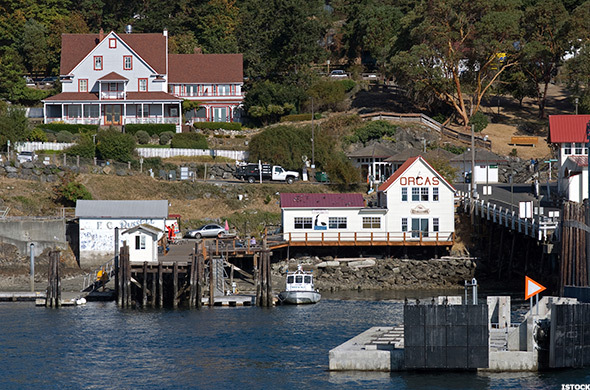 There aren't a whole lot of hotel accommodations out here, so we recommend settling in at any one of the waterfront Orcas Island cottages FlipKey is offering for a starting price of $268 a night. It gets somewhat cheaper if you opt for a two-bedroom on Lopez Island for $175 a night, but staying at a three-bedroom home ($350 a night) or six-acre estate on San Juan Island itself raises the price a bit, even if the view is gorgeous. Getting away from the coast doesn't always make things cheaper in the Pacific Northwest, but it generally doesn't hurt. Idaho has long provided some comfort from the sticker shock of Seattle and Portland, but Coeur d'Alene is a gem at any price. 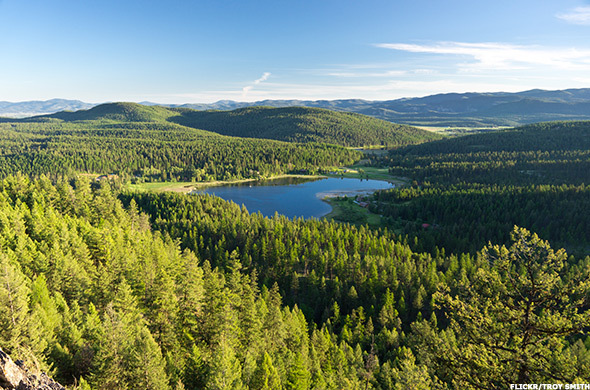 Canoeing, kayaking and jet skiing are all just 30 minutes from Spokane International Airport, as are some of the best rentals for your dollar. FlipKey found a one-bedroom carriage house with a kitchen, wood stove and patio for $125 a night. Meanwhile, a stunning, timbered, three-bedroom home on Cougar Bay with room for 8 goes for just $95 a night on HomeAway, which also lists a three-bedroom with room for 12 on Sanders Beach for $195 a night and a giant five-bedroom lodge with boathouse on Mica Bay for $999 a night. There's a lot going on in the little apple, even if its diminutive size says otherwise. 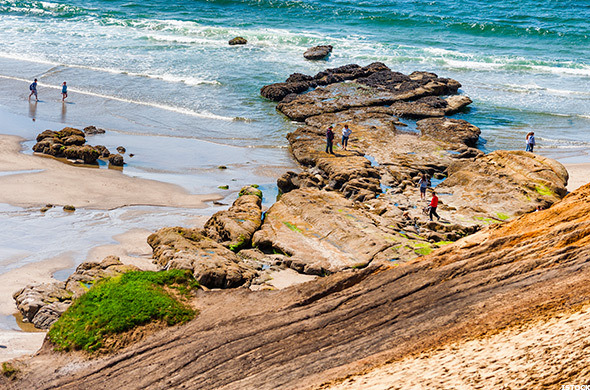 Tucked along the coast between Oswald and Nehelem Bay state parks, Manzanita is the shore town for folks who prefer pie shops, bookstores, toy stores and take-away pizza to boardwalks and rides. The main drag isn't all that long, but this town's bakeries, restaurants, toy and variety stores are really just supplements to a relaxing stretch of kite-flying, beach walking, forest hiking and fire building. It's a coffee, books and games Oregon Coast town that could just as easily be airlifted to the Hamptons (seriously, the Blackbird restaurant would qualify for Michelin consideration if it weren't in Oregon). TripAdvisor Vacation Rentals notes that interest in Manzanita properties has increased 45% since 2014, and the properties themselves are a big reason why. A two-bedroom cottage off the beach starts at $95. Meanwhile, a three-bedroom home just two blocks from Nehalem Bay starts at $244 a night, while a six-bedroom beach house with spectacular views goes for $1,286 per night. 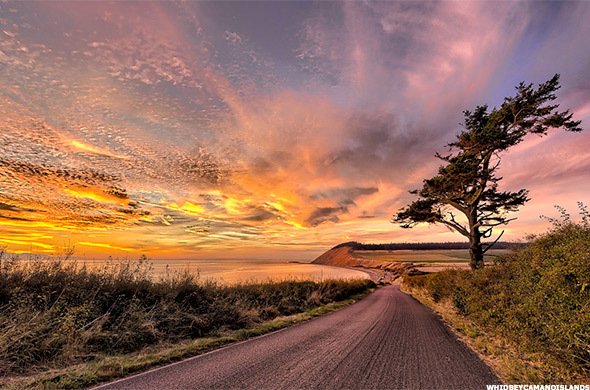 Just off of Route 101 along the Pacific Coast, this tiny little cove of a town functions as a modest artists' colony but is also near Hobbit Beach for hiking; multiple trails for biking; marshy beaches for fishing, clamming, crabbing and horseback riding; and many other activities. Frankly, we're big fans of Yachats Brewing, which recently opened in the local farm store. 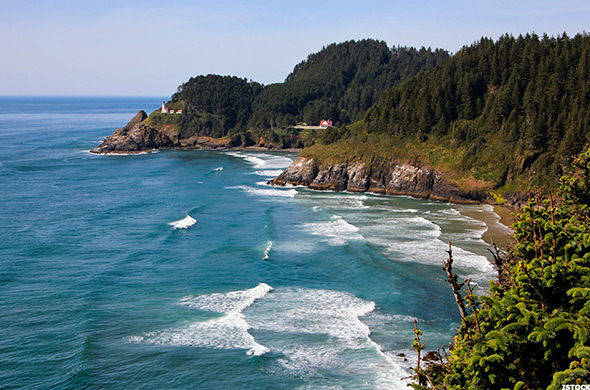 If you can swing it, we'd strongly suggest staying in the bed-and-breakfast that was once the lightkeeper's headquarters for the historic Heceta Head lighthouse. Not only will you be served the multi-course breakfast of your life, but you can have dinner at the Ona Restaurant and Lounge owned by the bed and breakfast's chef. If you can't, a three-bedroom beach bungalow on FlipKey starts at $175 a night. Cheaper, you say? A three-bedroom home with a balcony featuring panoramic views of the Pacific starts at $90 a night on HomeAway. Larger homes that sleep 14 and 16 people, respectively, can be had for $175 and $300 per night. If you absolutely love the outdoors, this is where you need to be in the fall. 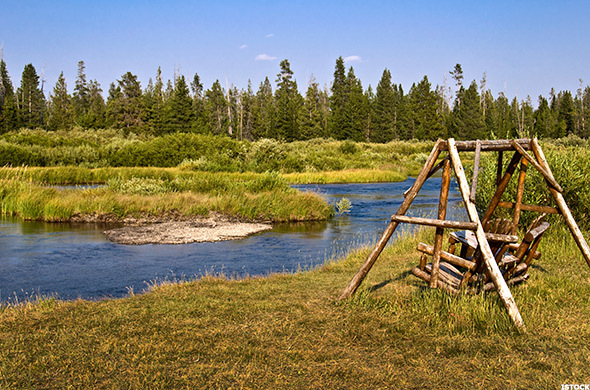 Sure, you can bring your fishing pole and hit the rivers, but Whitefish is kind of a fancy person's outdoor town. Think about the crowd that goes to the Sundance Film Festival and imagine them spending way too much on waders from a store that doesn't even sell tackle. That's who we're talking about, but even they appreciate the natural beauty. So where do you start? Well, this three-bedroom, three-level ski chalet with access to a heated pool, hot tub and a private beach on Whitefish Lake starts at $160 a night on Flipkey. Meanwhile, HomeAways offerings all look like they were pulled from paintings. Timber-clad ski lodges with two bedrooms ($199 a night or $275 a night) or four bedrooms ($1,196 a night) all have the hearths and wintry glow of a retirement community jointly designed by L.L. Bean and Eddie Bauer. If anything less than woolen rag socks are touching their floors or anything other than freshly split wood is heating them, we're fairly sure it violates some Whitefish ordinance. We don't have to tell you why people visit Yellowstone National Park: bison, elk, bears, geysers... you know, the wonders of nature. 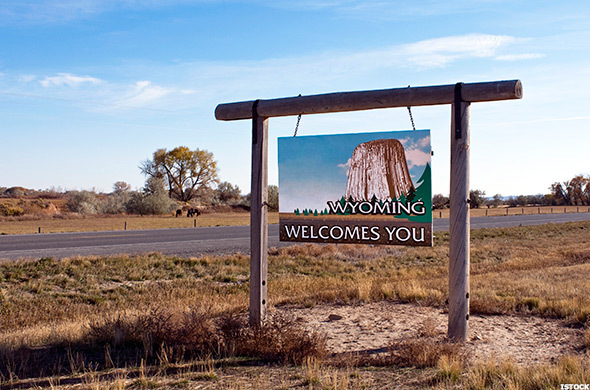 We also don't need to tell you why you'd want to go to Yellowstone around this time of year: because all the folks who spent the summer jamming the park and gawking in slack-jawed awe at the aforementioned bison, elk, bear and geysers are gone. Oh, you had to take the screaming kids back to school? Bummer, because places like this four-bedroom log cabin near Gallatin National Forest can be had on Flipkey for $229 a night. A two-bedroom cabin a little closer in goes for $169 a night, while a three-bedroom townhome fetches $329 a night on HomeAway. If you really want to get back to nature, however, a four-bedroom lakefront home will set you back $495 a night. Along Pacific City's coast, the Pelican Brewing Company and its stunning view of the haystack rock just offshore are about the closest thing you'll get to a jam-packed tourist attraction. 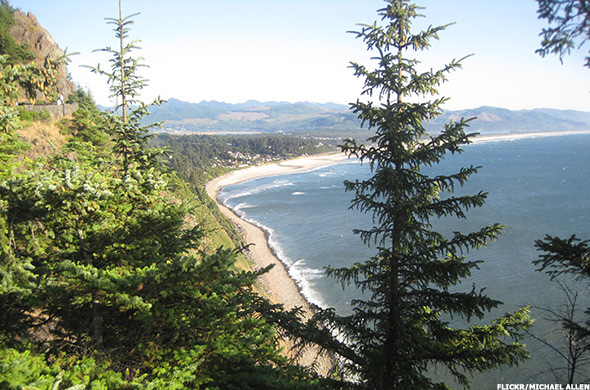 Pacific City's real draws are its beach, its dunes, its view of the Pacific from the cliffs, its fishing (though a memorial to the Pacific Dory Fleet by the beach reminds us that fishing here isn't always a benign pastime) and its Bob Straub and Camp Kiawanda state parks. Visitors often camp out at the latter two or stay on Whalen Island by the Sand Lake Estuary. That said, there are plenty of rentals out there for folks looking to see more of the coast. A four-bedroom house with ocean views and a hot tub starts at $185 a night on Flipkey. Meanwhile, a three-bedroom home a bit more inland goes for $125 per night, while a sprawling four-bedroom home with sweeping ocean views starts at $250 a night. However, if you really want to see how much you can get for your money here, check out a five-bedroom, pet-friendly home with two master bedroom suites, a steam room, broad ocean views and 5,000 square feed of room for up to 18 people. You could drive almost an hour out of your way to take a bridge over, but come on: you know you want to hop on the ferry. Whidbey Island doesn't get nearly enough credit, thanks largely to its neighbors to the north in the San Juans. Once you drive past the car rental lots and gas stations just off of the ferry terminal, it's actually a quaint little island with wine tasting rooms, restaurants, farmers markets, theater, glass blowing, golf and gray-sand beaches where you can spot bald eagles picking up lunch just off the shore. It also has better East Coast-style pizza than an island in the Puget Sound has any business having, but that's neither here nor there. With many of the properties already serving as vacation homes for folks from Seattle to the South Bronx, it's also a fantastic place to get an off-season rental. A one-bedroom cottage with views of the San Juans and Mount Baker starts at $150 a night in the low season. Meanwhile, a two-bedroom on a wooded patch in Langley just off the coast goes for $185 a night, while a three-bedroom in Oak Harbor near all the action starts at $350. Have 25 of your closest friends staying with you? A six-bedroom estate in Freeland starts at $1,800 a night. This is ski country, and, while there's no denying that Jackson has some fantastic restaurants, breweries and shopping, there's no question that the area's slopes and other natural treasures are its biggest draws. That said, all the other accoutrements drive up the price of staying here like you wouldn't believe. Even during the offseason, a five-bedroom condo near the Moose Creek lift starts at $575 a night. However, there are better deals if you know where to look. A three-bedroom cabin in Jackson starts at $171 a night, while a three-bedroom sneaks in at $450 (though they can climb as high as $650).